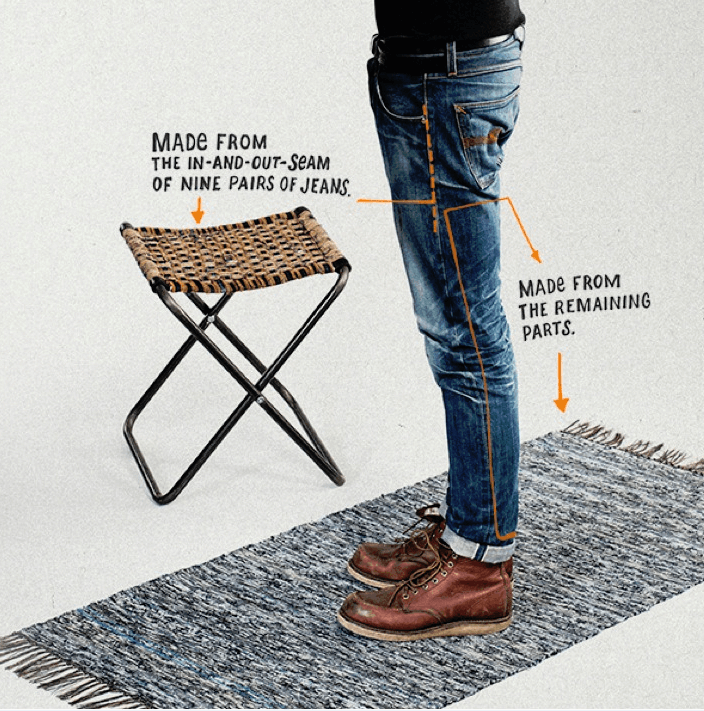 Founded in 2001 in Gothenburg, Sweden, Nudie Jeans has grown to be a leader in sustainable and organic denim production, providing unrivaled collections showcasing the best of understated Swedish design. The inspiration for the camper seats originated from one of Sweden’s favorite pastimes – camping. This foldable camper seat is available in two options: Light Blue and Dark Blue. Each seat is beautifully braided by hand with a simple construction, using the inseam and out seam of nine pairs of rigid Nudie jeans, one belt and one leather patch. 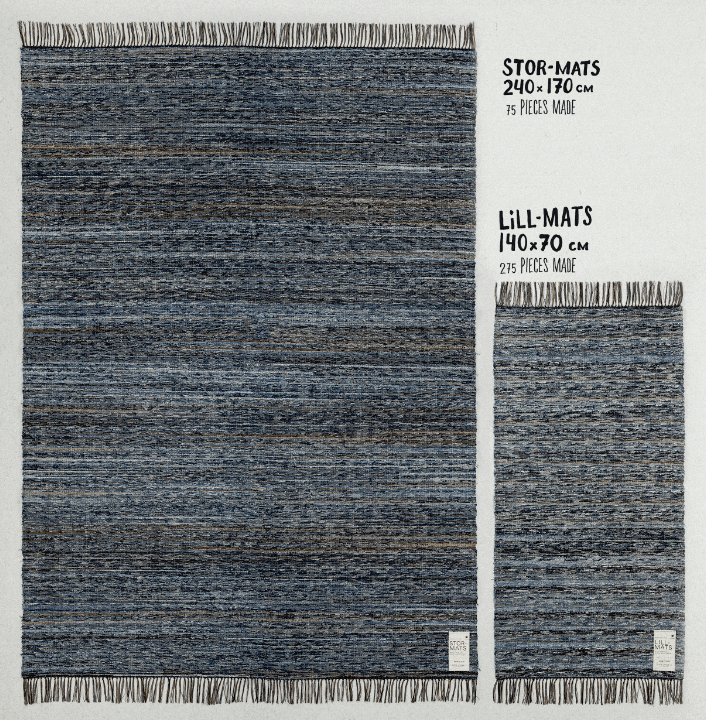 The Swedish tansmatta – also known as rag rug – is made from shredded pieces of the Nudie Jeans denim used for the In-and-Out Seam Camper Seats.